Unity, no doubt, begets strength. What sounds clichéd was manifested in full force the other day when Prime Minister K P Sharma Oli took on European Union Election Observation Mission (EU EOM). Without pulling any punches, the Prime Minister challenged some unsavory remarks of the EU EOM on the recently held elections in the country. 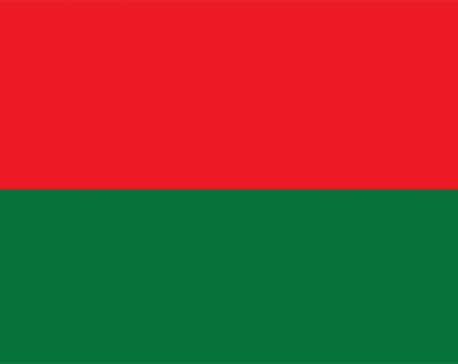 The Mission was critical of the inclusion of Khas-Arya community (Brahmins and Chhetris) in the quota system in federal parliament and provincial assembly election. The Mission’s report claimed that the above sections of the society are already well represented in political, bureaucratic and social circles. The Mission also accused our Election Commission of non-transparency in the electoral process. 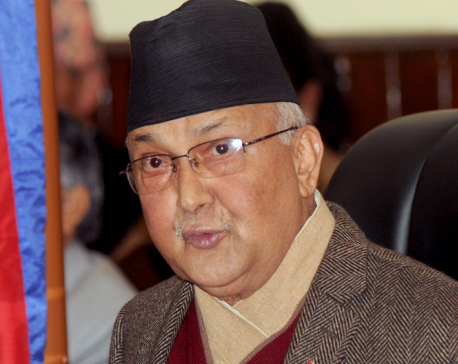 Quick to take offence at the allegations, Oli described them as insulting to Nepal and subversive to its sovereignty. He fired canons to the left and right of the EU EOM. While the quota for the Khas-Arya may remain a contentious issue in Nepal Prime Minister’s riposte to Europeans will stand out in the region’s political discourse. It is obvious that but for the strengthening of ties between the CPN (UML) and CPN (Maoist Centre) we may not have witnessed Prime Minister Oli going hammer and tongs at the EU EOM. Significantly, many European countries and entities happen to be donors to Nepal though their clout is on the wane in view of the rapidly growing economies of China and India. Yet the PM could display such gumption as he is on a strong footing. Even the opposition Nepali Congress has conveyed its reservations on EU EOM poll report. Such a unified stand by Nepal’s political parties is rather unprecedented. The reason is that both the Left parties are closer than ever before. A merger of the two is only a matter of time though the CPN (Maoist Centre) chief and former Prime Minister Pushpa Kumar Dahal has recently thrown a spanner in the works by claiming half the seats in the central committee of the proposed unified party—Communist Party of Nepal. But its share in the poll results does not behoove such a demand. These differences need to be ironed out at the earliest in the country’s interest. Nepal has been blessed with political stability after a long time. It cannot be frittered away to suit the interests or ambitions of political biggies and lobbies. P M Oli’s bold stand against the EU EOM stems from the fact that the current ruling coalition is not at the mercy of other parties and factions. It has its own mind and the ability to be vocal and articulate about its objectives and intentions. With the new super power China firmly backing Nepal now, thanks to the geo-political tug of war between New Delhi and Beijing, Kathmandu is well placed to accord top priority to its interests. This is what national sovereignty is all about. On the global chessboard friends and foes may change, but national interests largely remain unaltered. A nation’s diplomatic maneuvering is determined by the changing international mosaic. It is no coincidence that vigorous lobbying is on to accord China full membership of South Asian Association for Regional Cooperation (SAARC). So far, China has only observer status in the largely defunct regional body. With China’s offer to involve Nepal in a major way in its One Belt One Road (OBOR) scheme it is, but natural for us to consider the best options available to us. A China-backed railway system can change the face of Nepal. If media reports are to be believed the first railway stock will start rolling in five years. Besides infrastructural advantages accruing to us from such projects, it will also bolster Nepal’s demographic integration. However, the Oli dispensation needs to walk the extra mile to heal the sores of underprivileged social groups and communities in Terai plains and make them feel equal citizens. Plurality, unity in diversity and inclusiveness are goals which Oli government needs to pursue with earnestness. After all, the leftist ideology is all about equality. One would like to see it in action sooner rather than later even if constitutional amendments are called for. P M Oli’s recent pronouncements have generated much hope among the Nepalis, our neighbors and the diplomatic fraternity. On March 26, the Prime Mister pronounced at a public function that India and China are Nepal’s key allies. “We emphasize on friendship, our policy is of friendship and hence it cannot be unequal and unbalanced. It will be equal,” he asserted. Office often makes the man. K P Sharma Oli in his second avatar as Nepal’s prime minister seems to be a different person. Given his leftist background, his tilt towards China is not surprising. But his pro-China stand cannot be attributed entirely to his communist moorings. There is a lot of pragmatism and realpolitik involved in each and every step he has taken in the last one month or so. He seems to have realized that in today’s world, soft and hard powers go together. The millennia-old cultural ties with India cannot and also need not be wiped out particularly when Nepal remains a landlocked country with easier access abroad and to the seas via India. Both Oli and Dahal are, apparently, hastening the party merger process before Oli’s visit to India. The Prime Minister will be on a stronger footing while dealing with his Indian counterparts if he represents a unified ruling party. However, latest reports in the Nepali media about delay in the merger are sending wrong signals to all concerned quarters. The leftist camp needs to set its house in order. Nepal is in dire need of statesmanship by its ruling political class. India should also understand that geo-political necessities make countries act in a particular way. So while India is seen to be drawing closer to the United States, it is also interacting with USA’s arch enemy Iran for petroleum supplies and construction of Chabahar port in the Islamic nation. India views Chabahar as a counterpoise to the strategic Gwadar port being built by Pakistan in Balochistan with more than active support from China. This is the current geo-political order. Prime Minister Oli has a lot on his plate but he has also been endowed with the unique opportunity to be his own man. He needs to put his foot down and come out with flying colors.